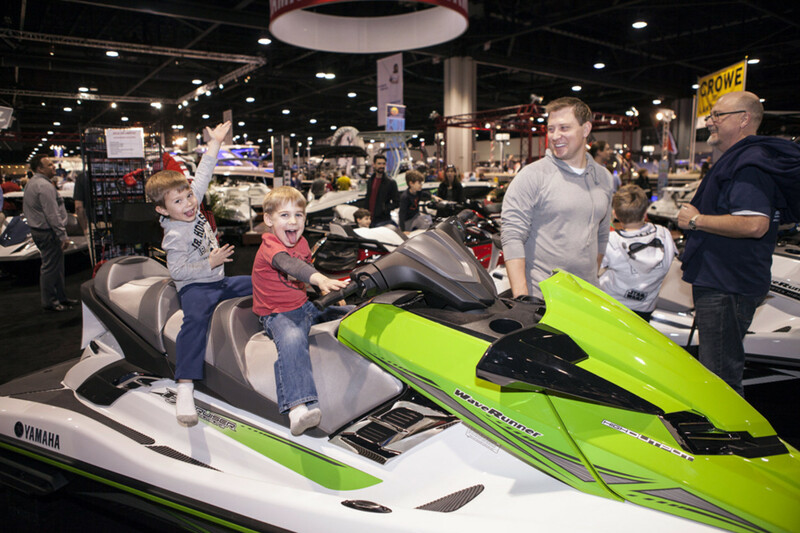 The Atlanta show traditionally offers a variety of boats, such as this Wave Runner from Yamaha. Organizers said the show will feature hundreds of boat models, ranging from pontoons to personal watercraft, and from bass boats to luxury cruisers. Many dealers will offer their lowest prices of the year, and gear and accessories also will be available. Fred’s Shed is an interactive garage where visitors will be able to get hands-on experience with boating repair and maintenance. The Let’s Go Fishing Center’s Big Bass Tank will have live fishing demonstrations from top-tier professionals. A sailing simulator will enable visitors to get a feel for the wind and waves on land, and there will be an enhanced seminar series for sailors. The Progressive Boat School will offer seminars, a boating simulator and a remote control docking pond.